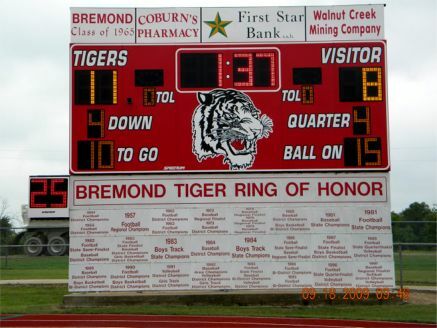 A new Football Scoreboard has recently been installed on the Bremond Tiger Field. 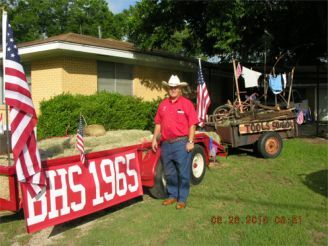 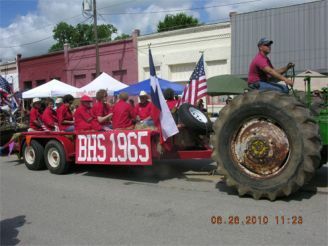 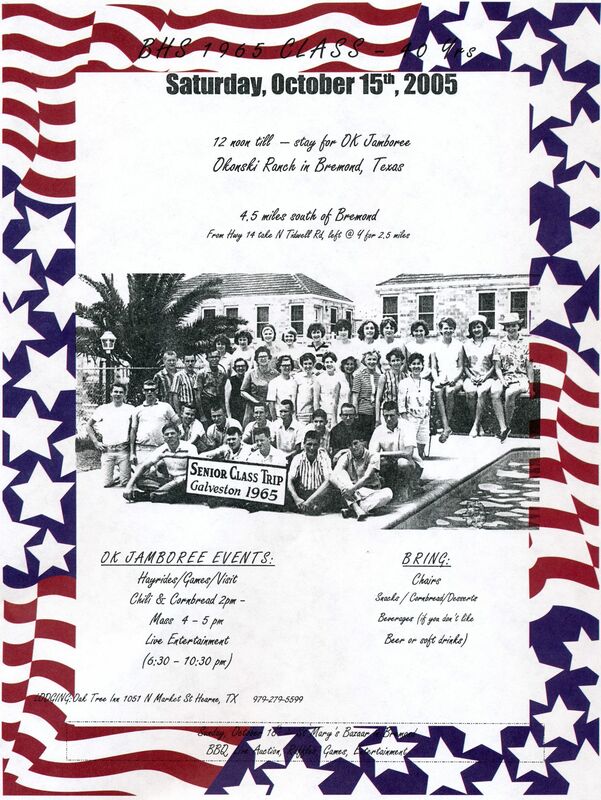 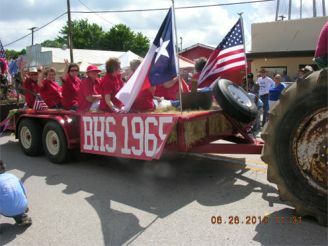 One of the participating sponsors is the Bremond High School Class of 1965. 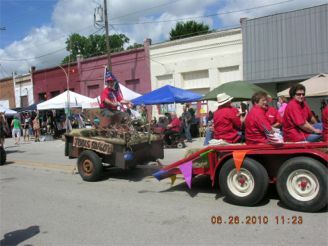 Other sponsors are Coburn Pharmacy, First Star Bank and Walnut Creek Mining Company. 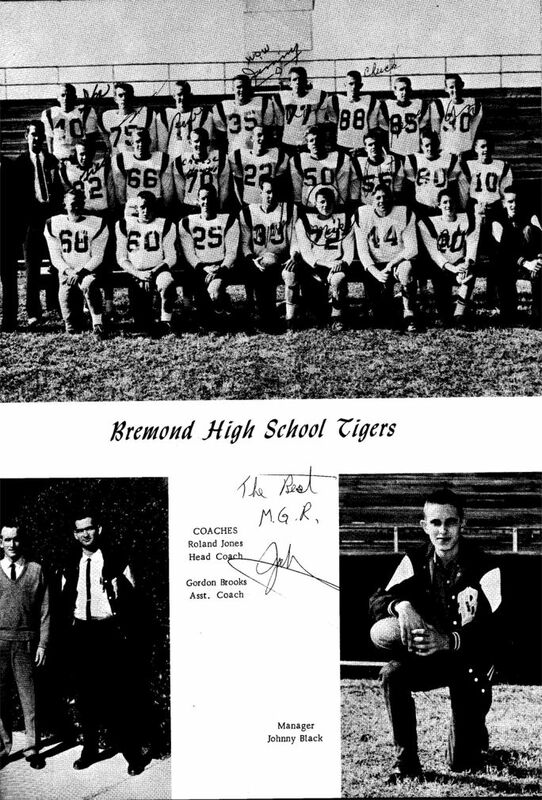 Standing next to the new Tiger Scoreboard representing the BHS Class of 1965 are: (L-R 1st row) Bernadine Hopcus (Wachel), Virginia Bane (Berger), (2nd row) Dr Fred Kuzniarek, Gene Okonski, Tony Bielamowicz, Antone Wiezbicki Jr., James Hailey, and Chuck Caskey. 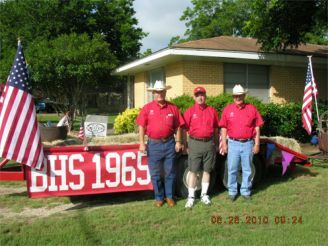 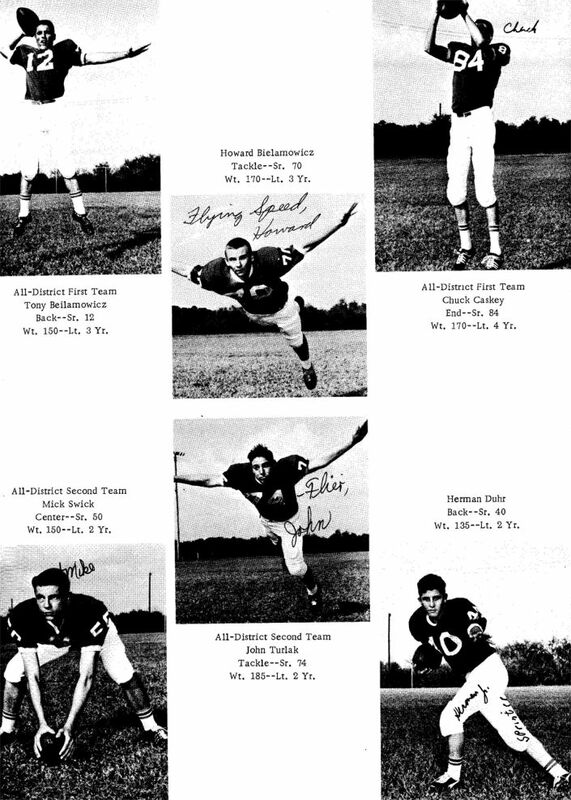 Forty five years ago, in 1964, several of the guys played football for the Bremond Tigers. 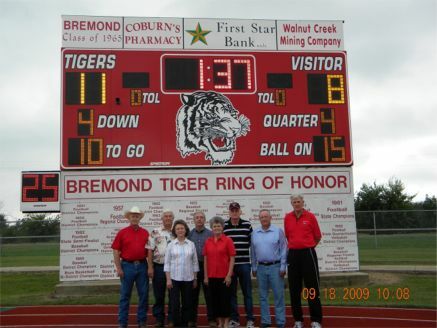 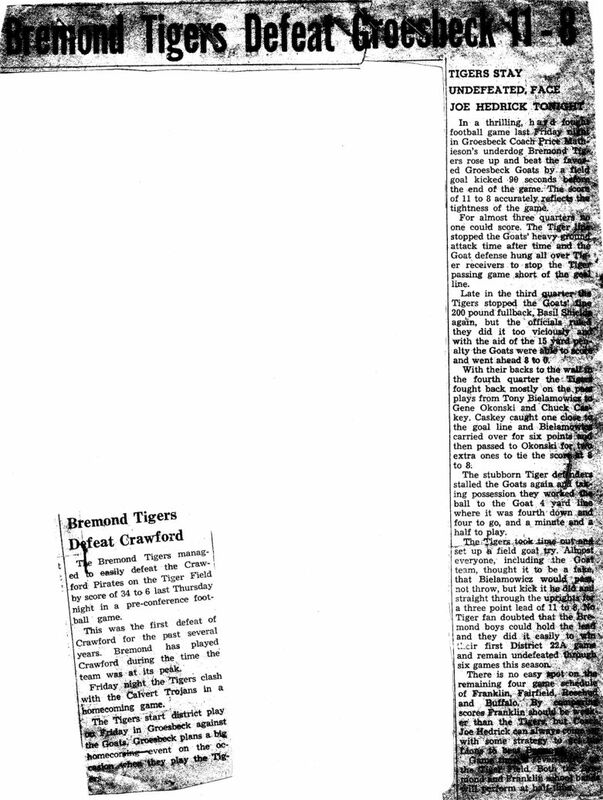 In 1964, Bremond beat Groesbeck 11 to 8 with 1 minute and 37 seconds left on the clock (notice the score and time on the new Tiger Scoreboard) resulting in 8 wins and 0 losses. 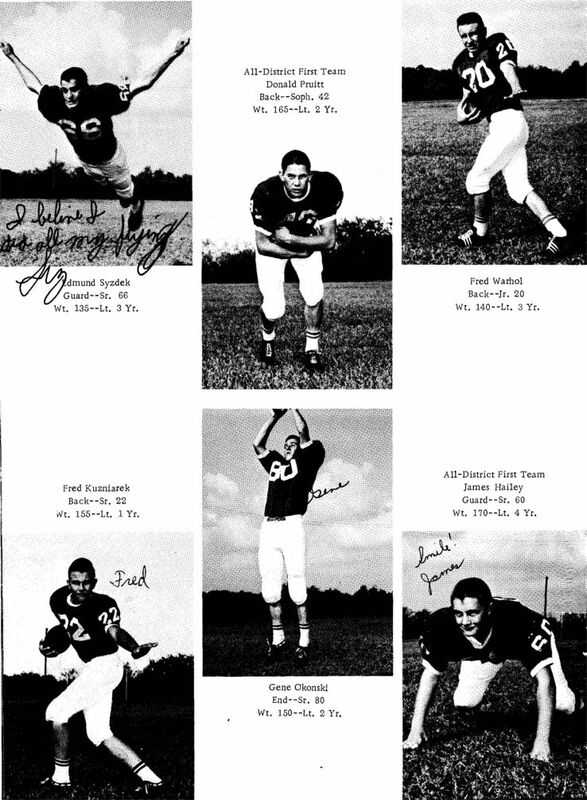 They won their Homecoming defeating Calvert 49 - 0, Franklin 12 - 6, Fairfield 6 - 0 , Crawford 36 -0. 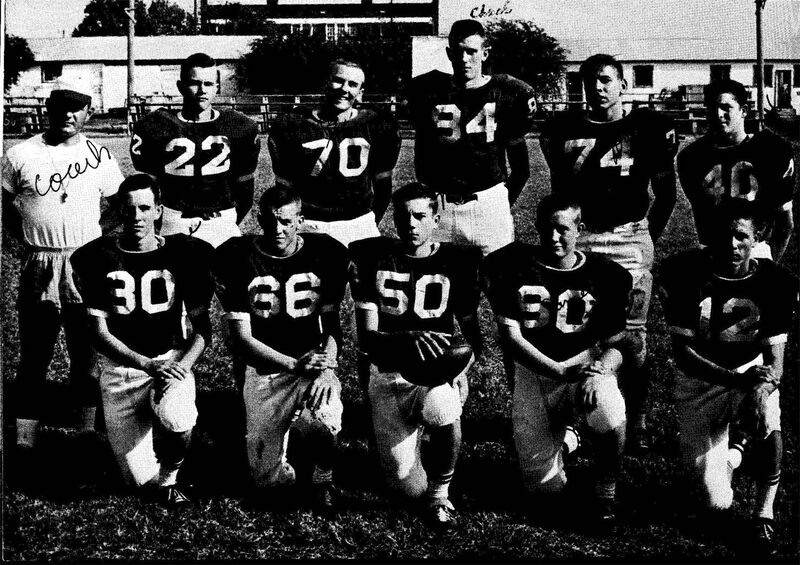 However, Rosebud, another 8 - 0 team, defeated Bremond the following week and went to Semi-Finals. 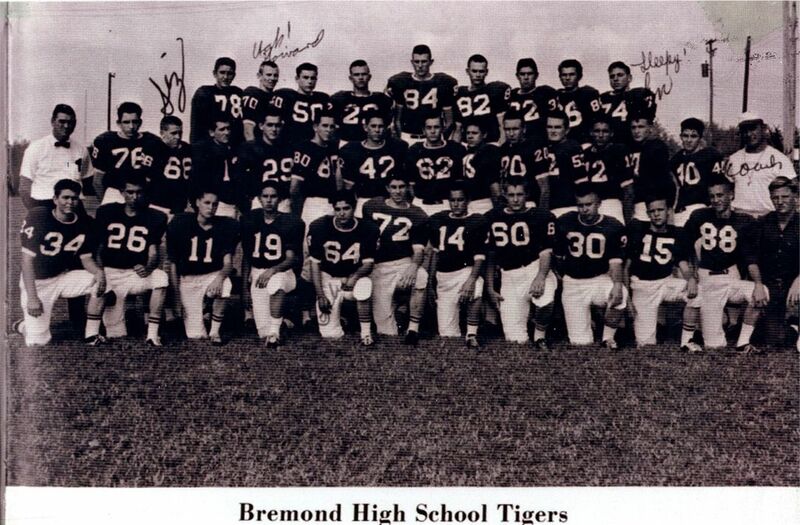 In 1964, Bremond moved to Class A from Class B which would have been equivalent to current Class 2 A. 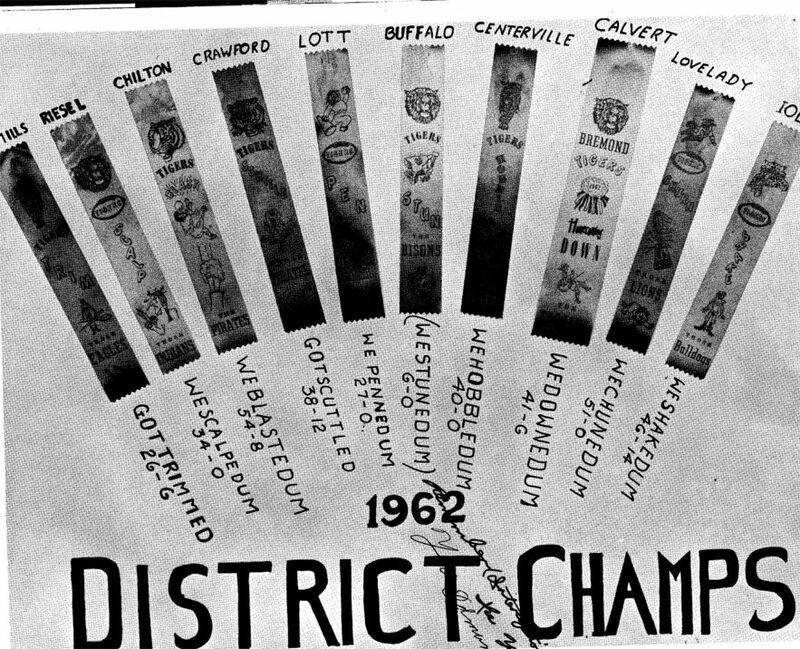 Only one team per district was allowed to advance to playoffs. 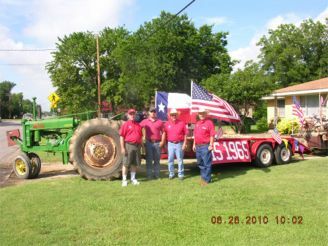 They also won District in 1962 and 1963 which resulted in 24 wins and 8 losses for 1962 -1964 seasons with many as shutouts or losses of 6 points or less making Bremond a well known football town in Central Texas. 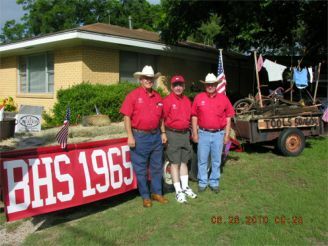 The first year for the Tiger colors of Red and White was 1963. 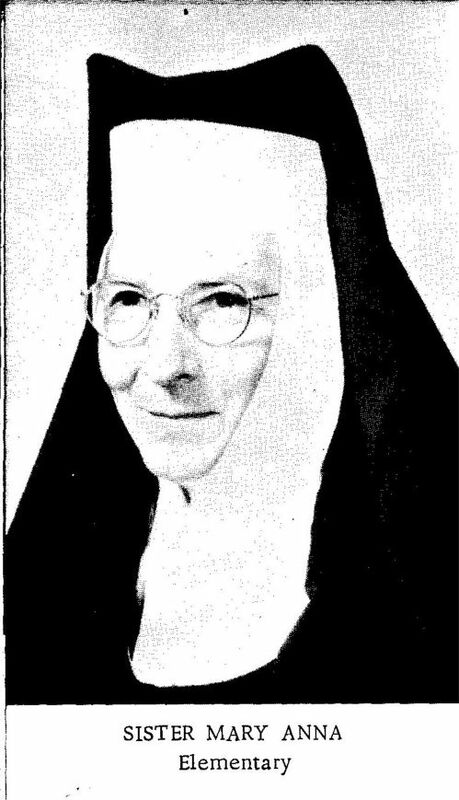 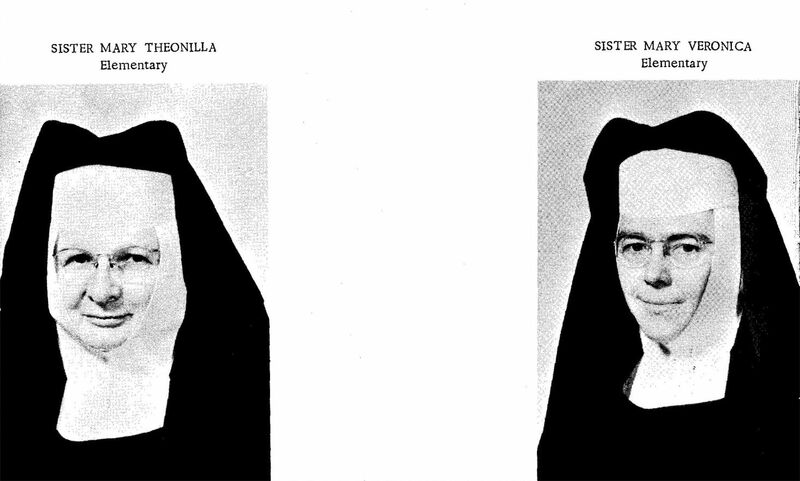 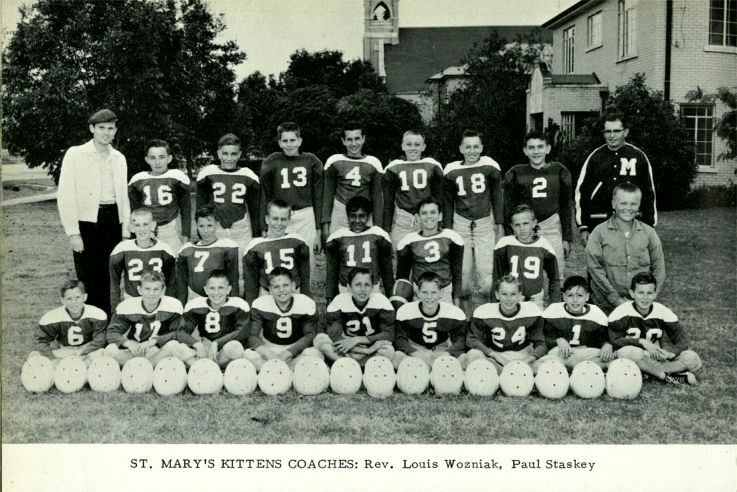 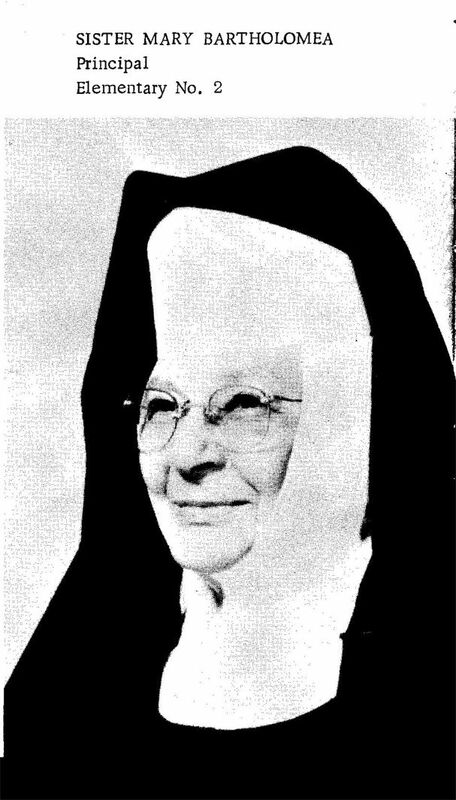 Several also played football on the 1958 St Mary's Kittens team coached by Monsignor Louis Wozniak. 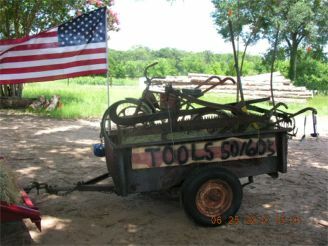 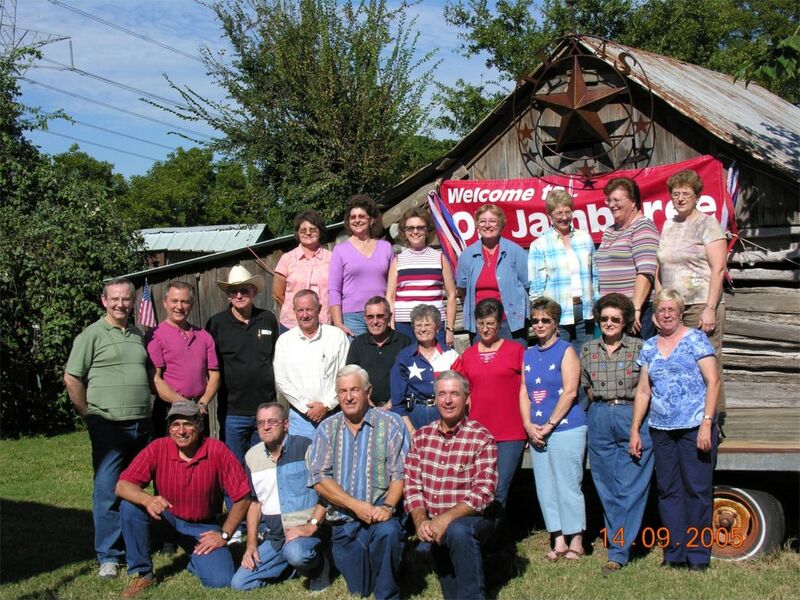 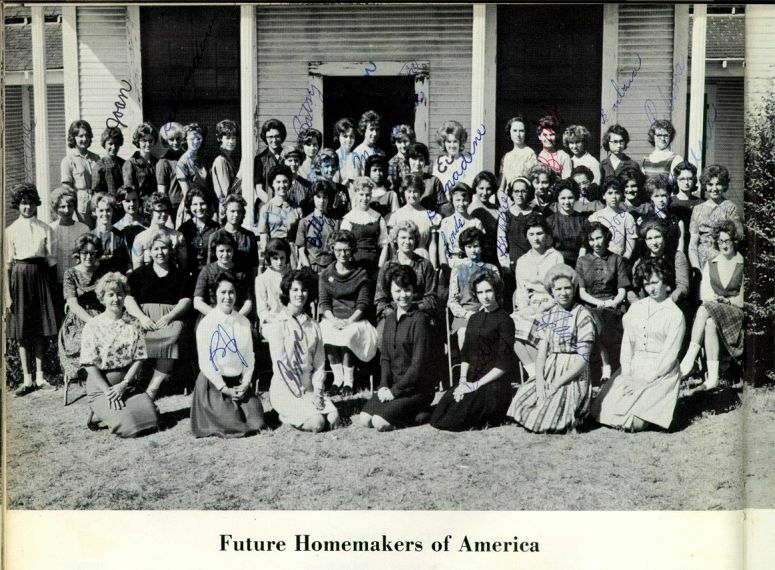 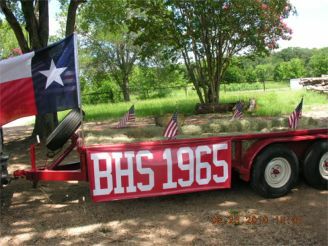 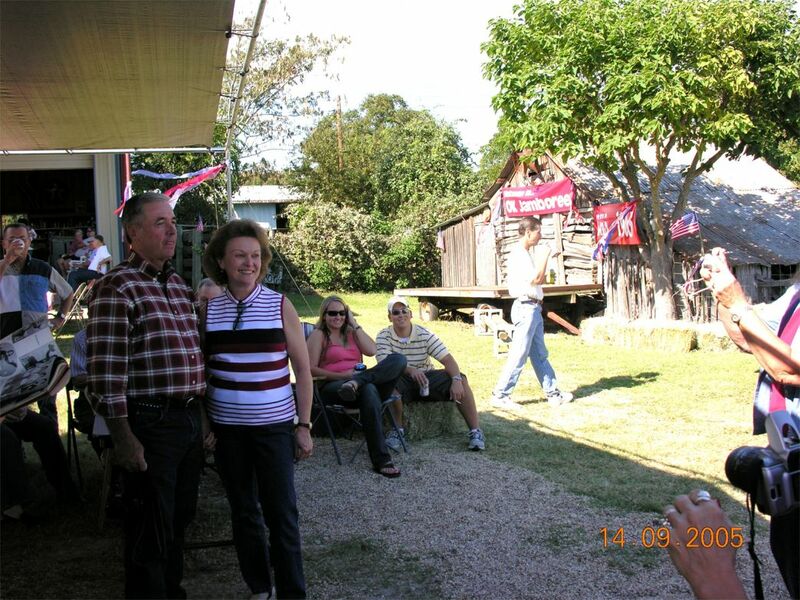 Several of the BHS Class of 1965 Graduates live, own a business, or have Farms/Ranches in the Bremond area. 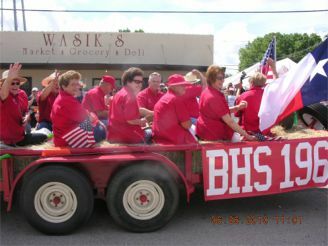 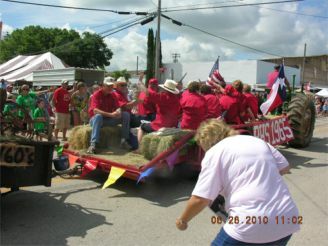 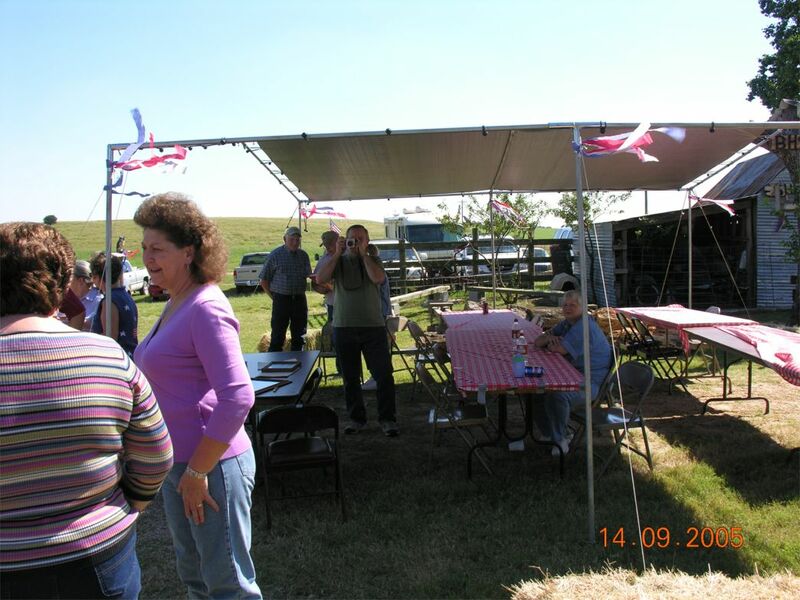 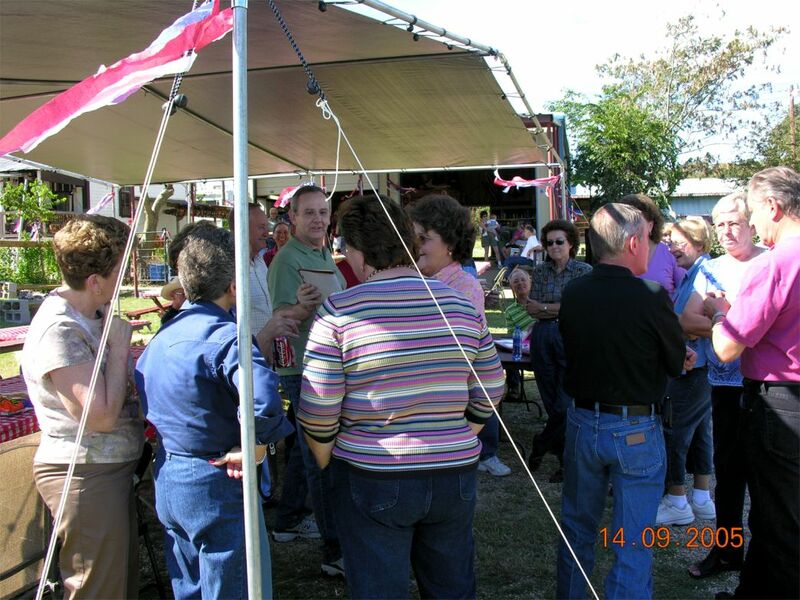 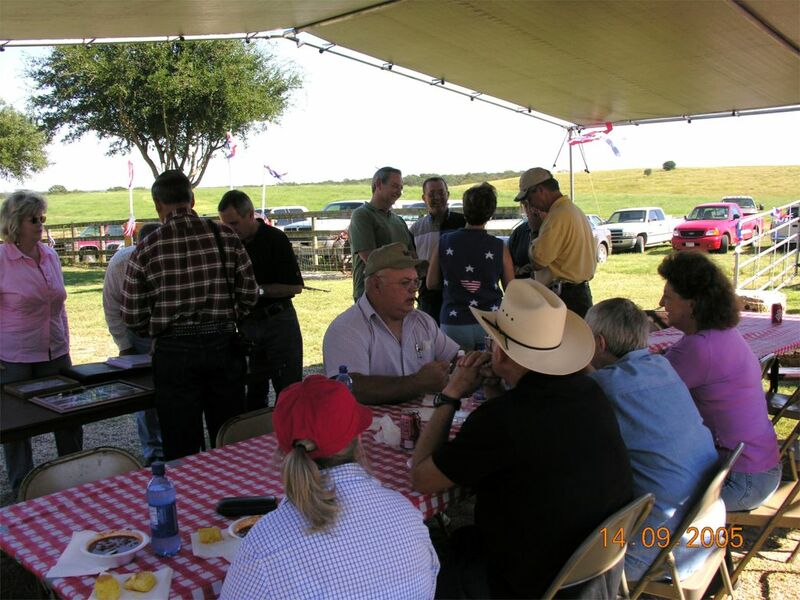 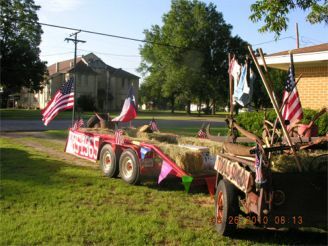 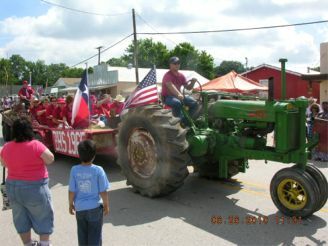 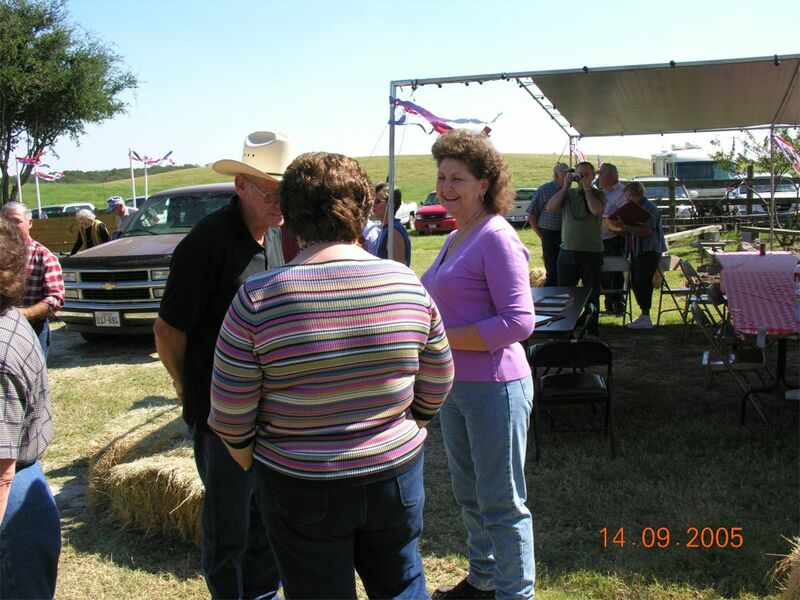 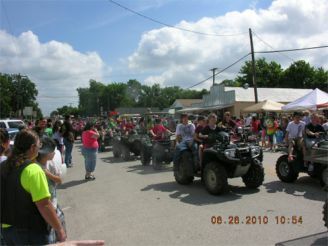 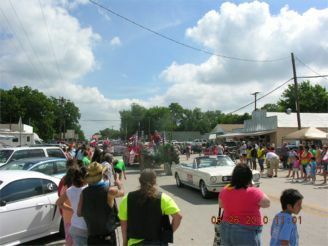 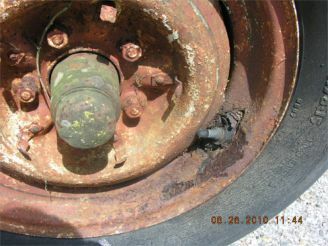 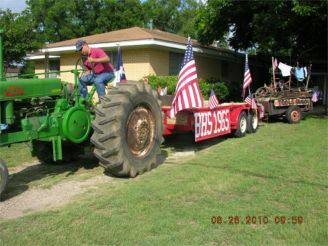 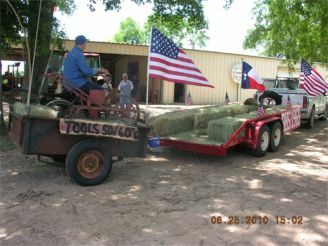 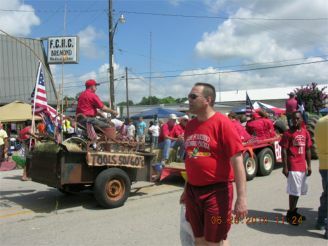 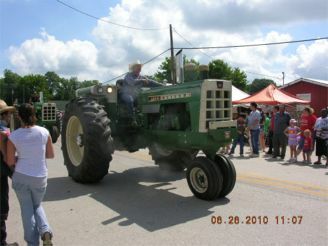 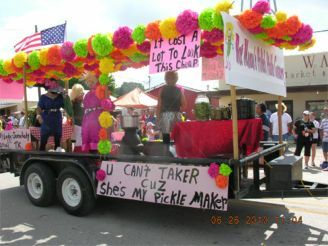 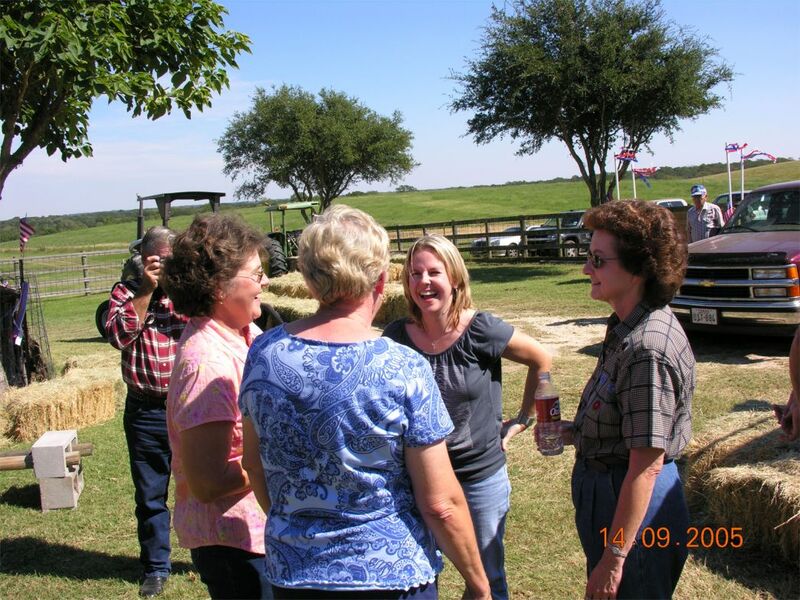 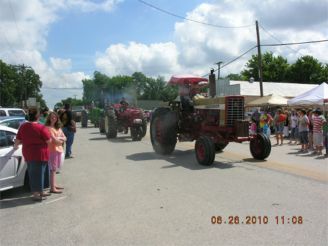 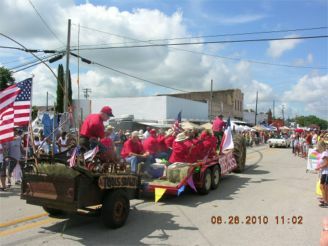 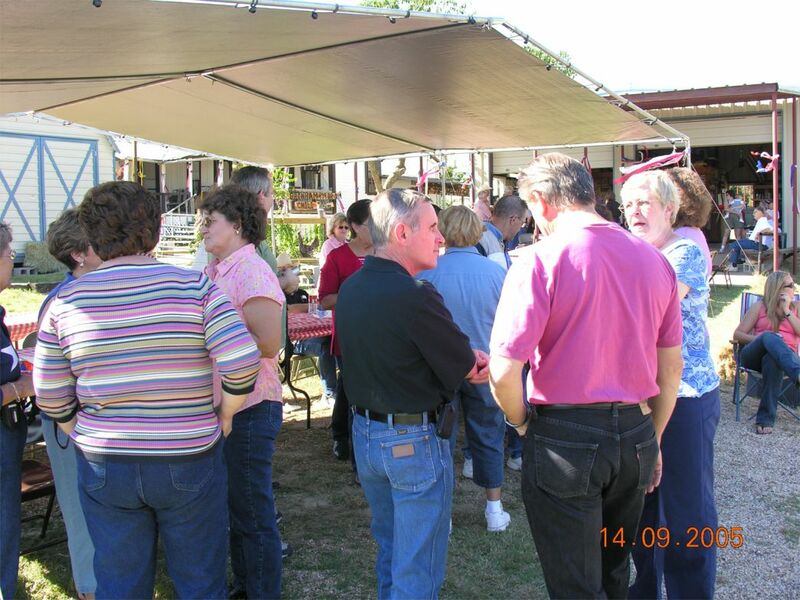 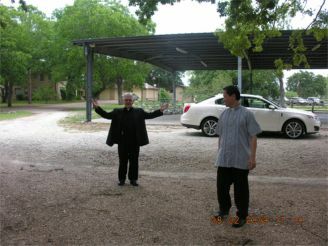 Others located throughout Texas and several other states visit Bremond on a frequent basis and contribute to the various major events/activities in Bremond each year. 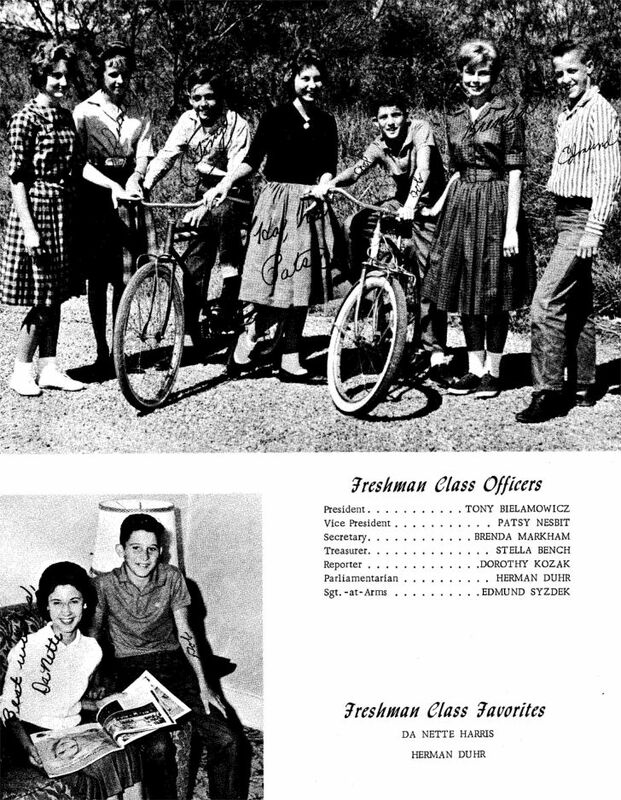 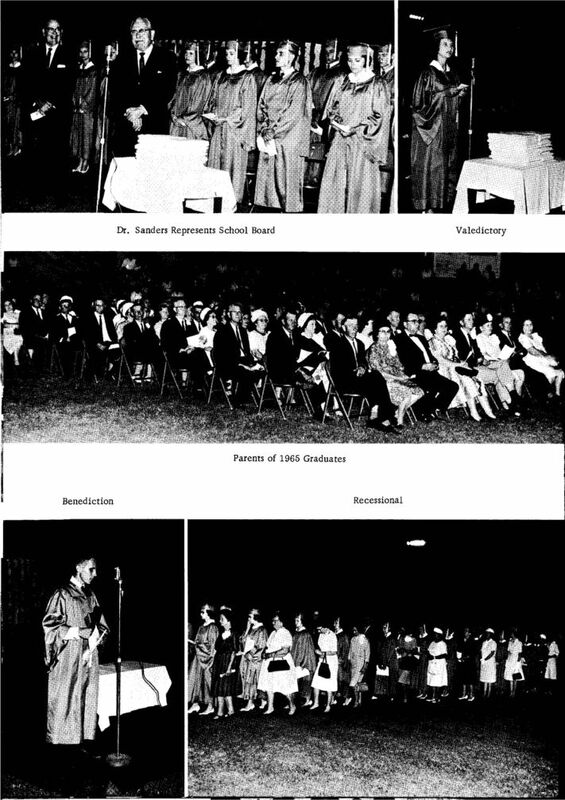 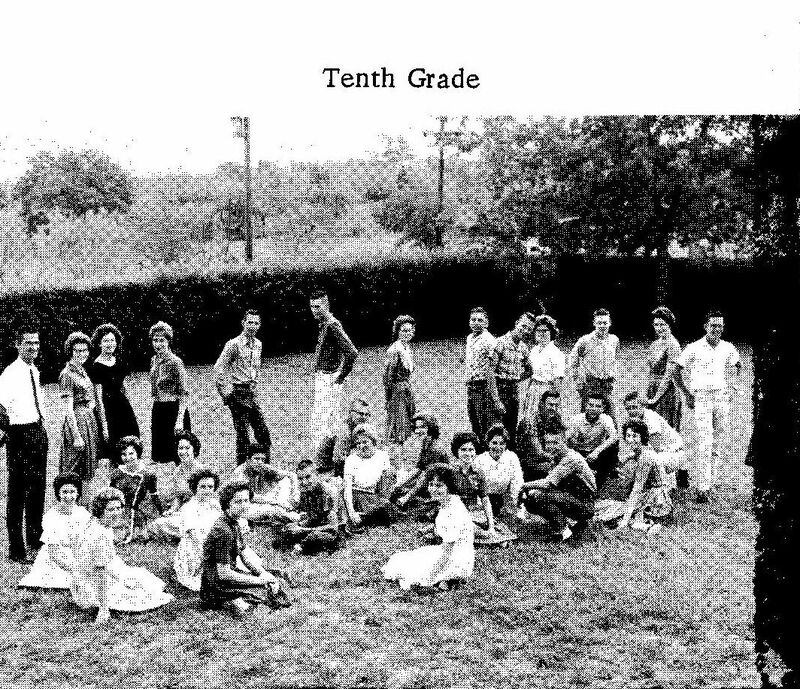 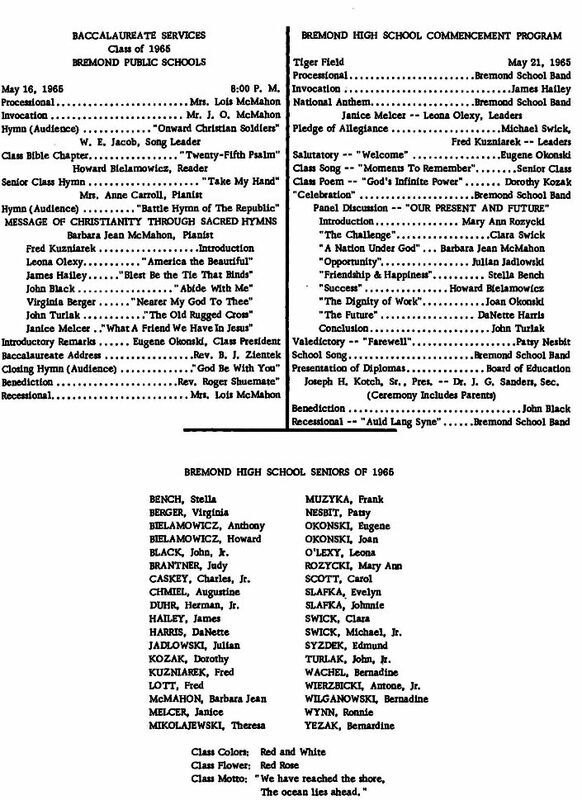 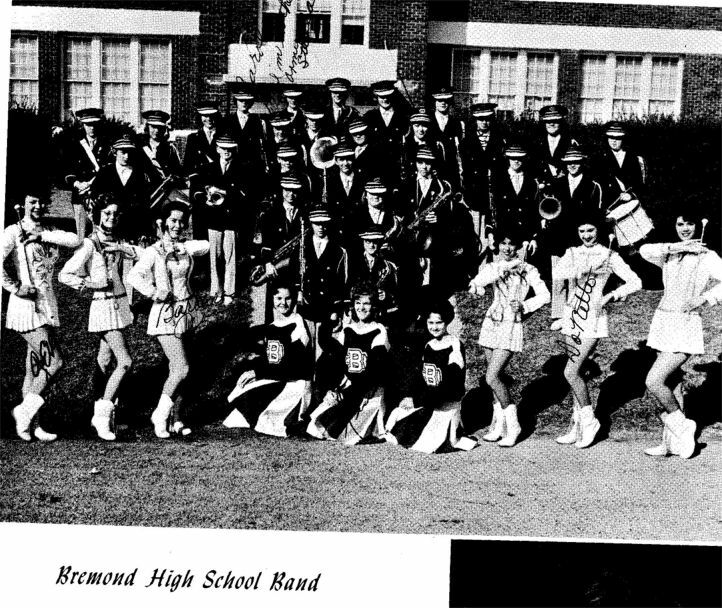 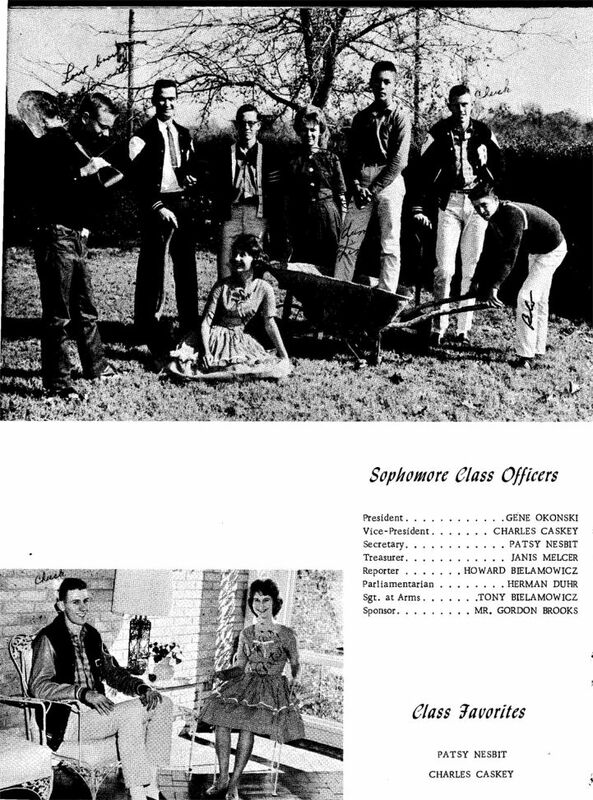 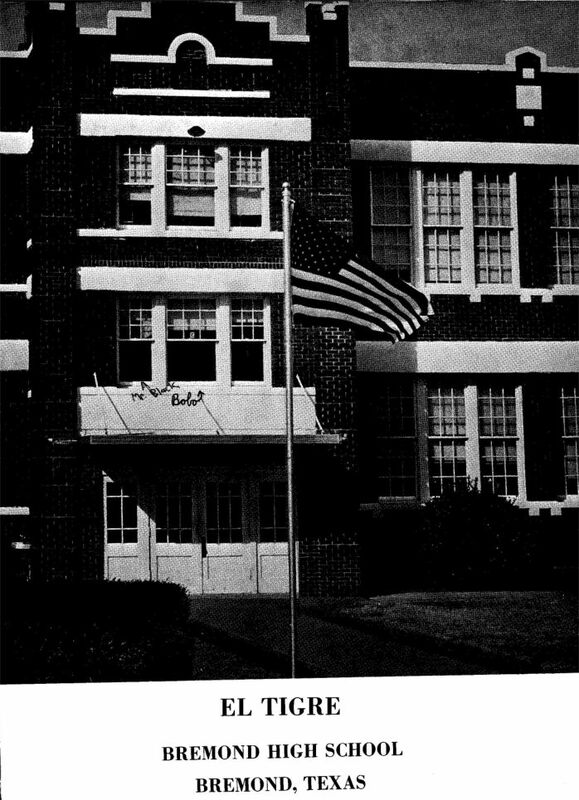 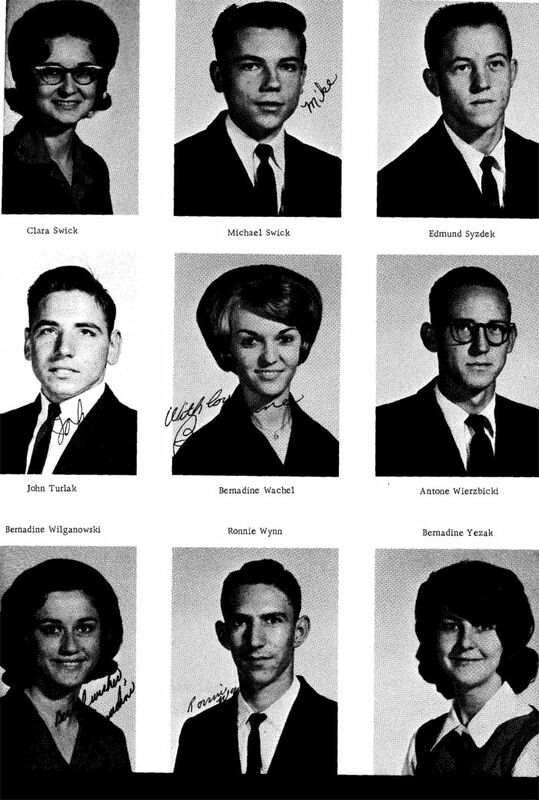 The BHS Class of 1965 was one of the largest graduating classes of BHS. 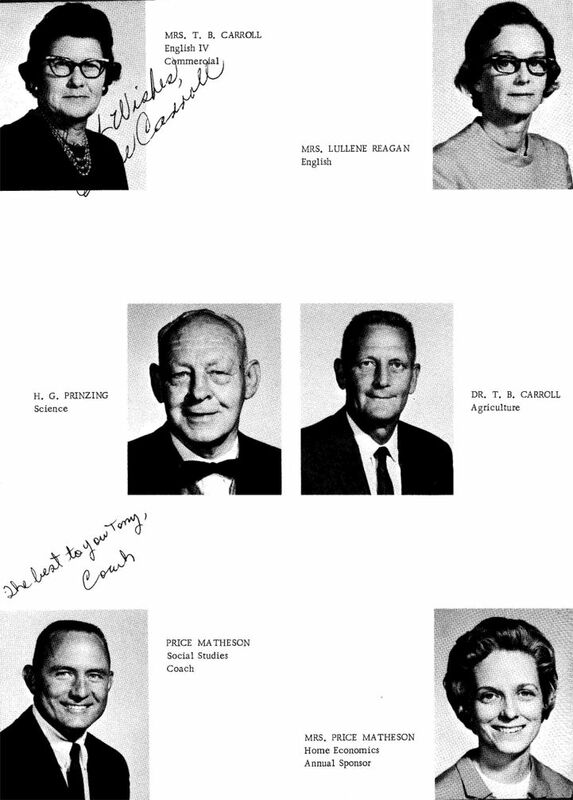 Many have received various level degrees or specialized technical training, resulting in many very successful careers. 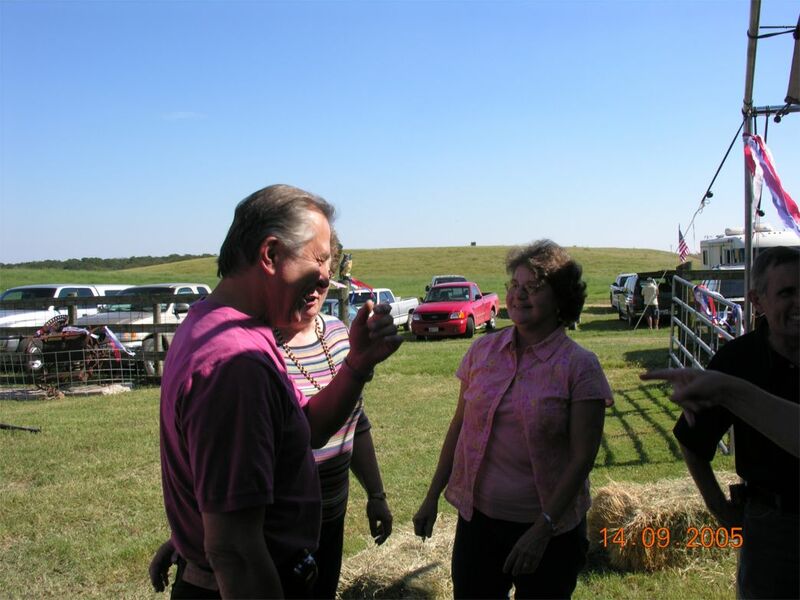 Some have retired from one career, started their second career, and are just enjoying life and spending quality time with their parents, children, and grand children. 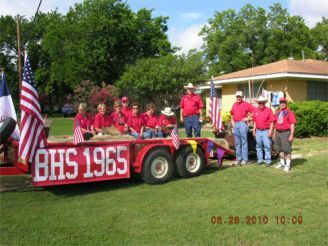 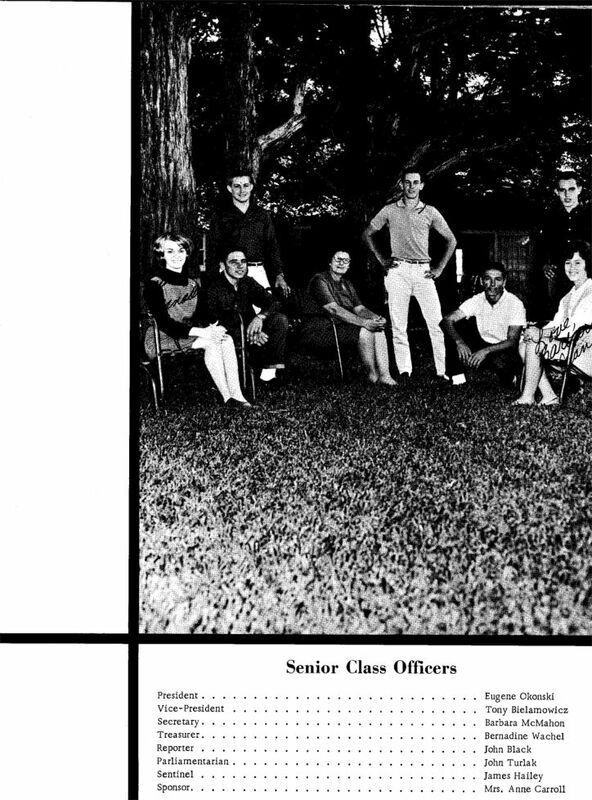 The BHS 1965 Class is thankful for the level of quality education it received from St Mary's School, the Bremond Elementary and Bremond High School during the "Good Ole Days". 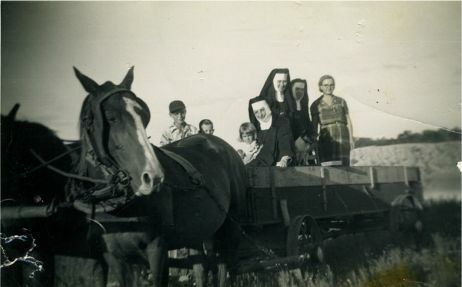 They remember the days of being raised on the farms with many chores before and after school classes. 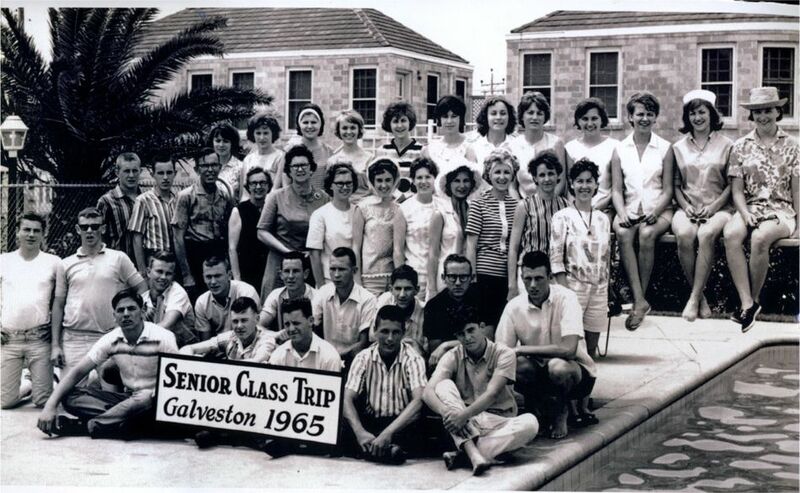 Going to town on a Saturday for the Big Prize Drawings, getting a coke float at the Fountain Drug Store or going to the Picture Show to include movie, popcorn and a soda for 25 cents were some of the favorite memories. 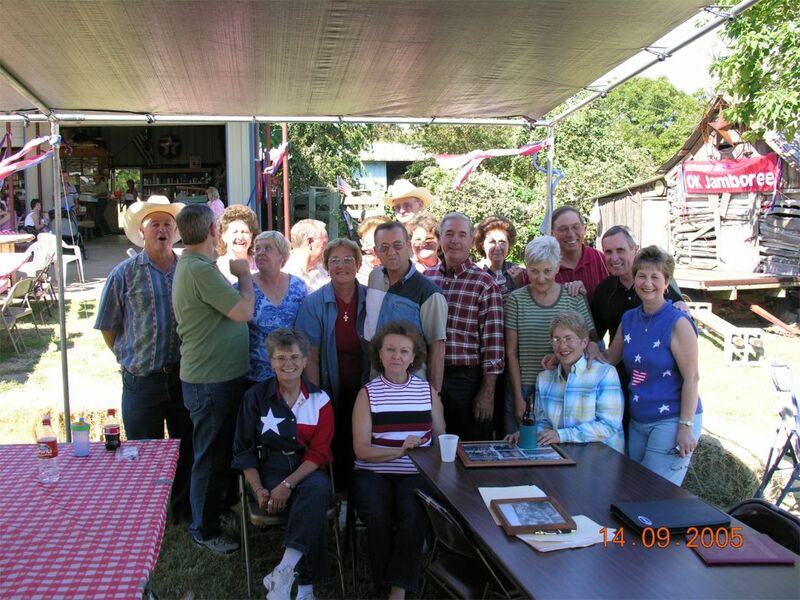 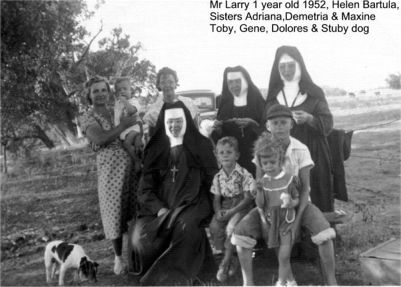 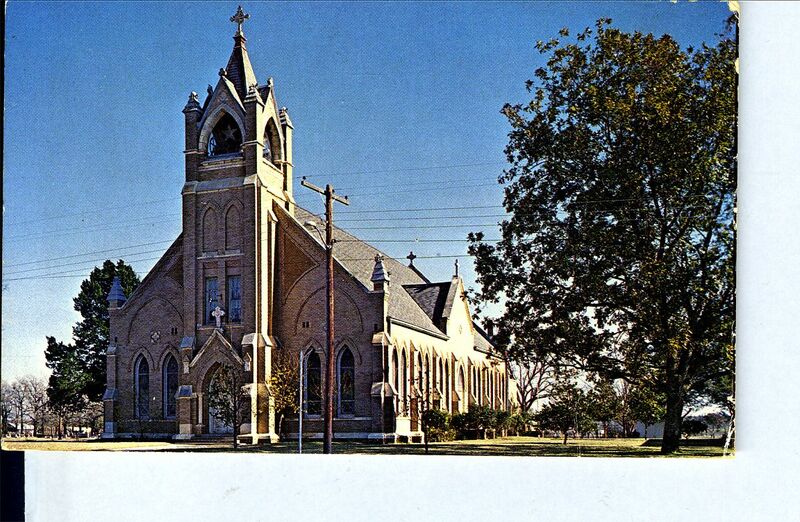 Many were from very large families whose Grandparents and Great Grandparents were some of the early settlers in Bremond during the 1860's to 1880's. 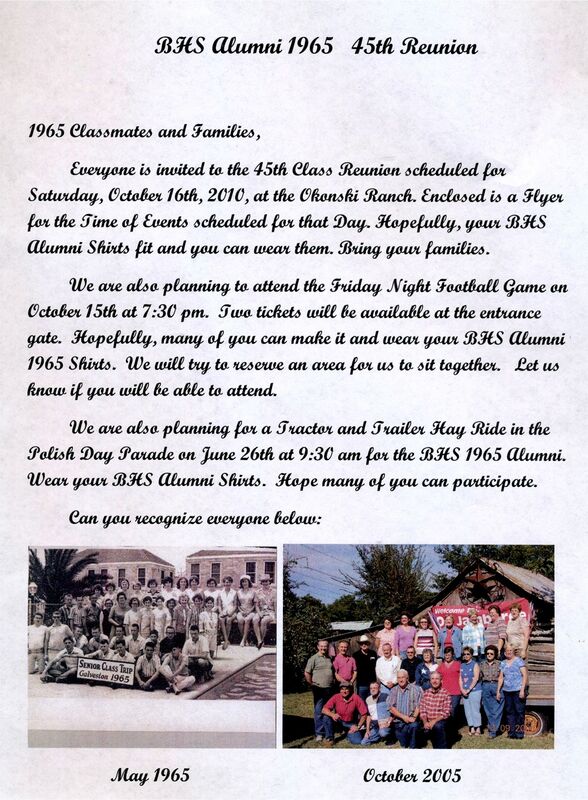 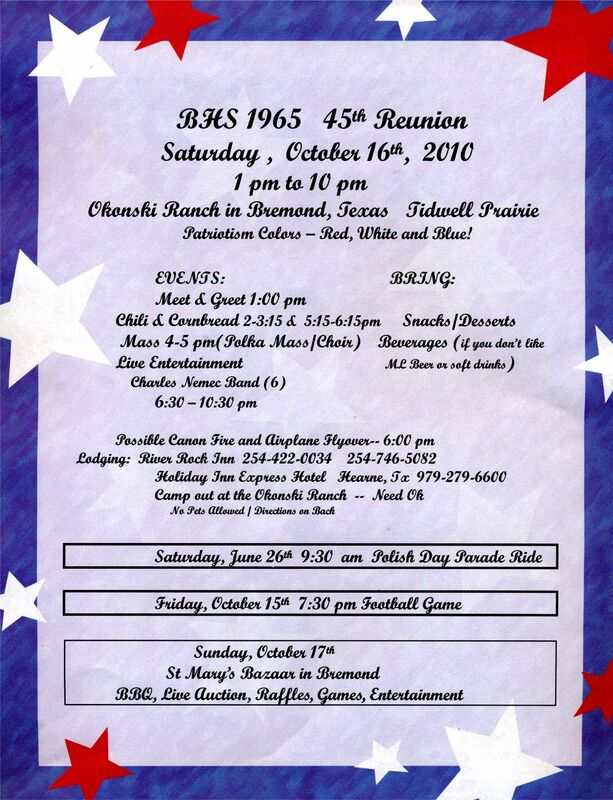 BHS Class of 1965 will be celebrating their 45th Class Reunion in 2010. 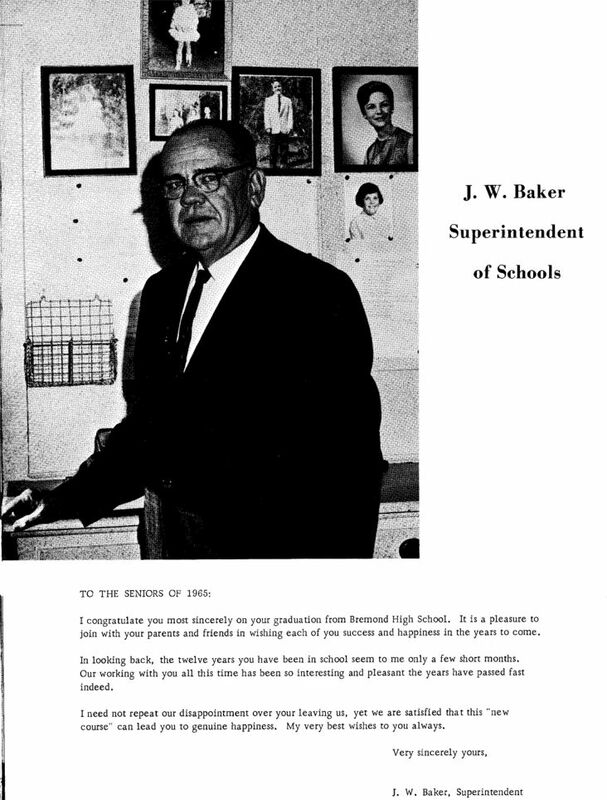 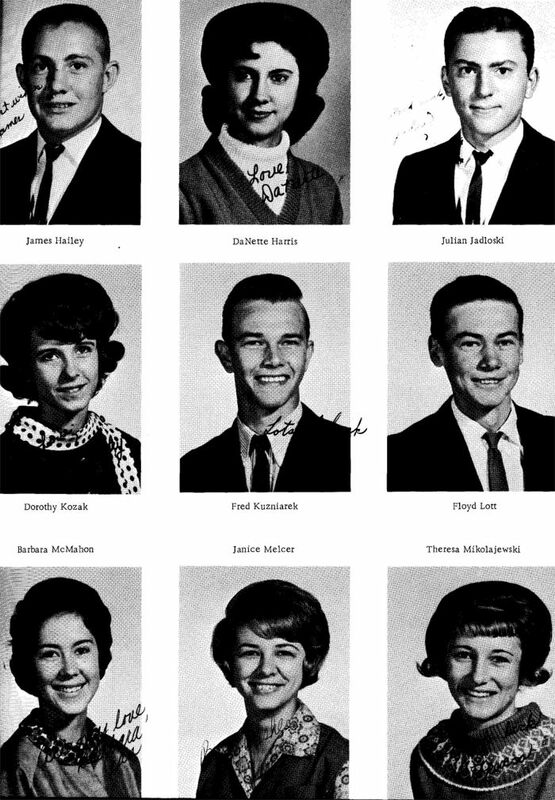 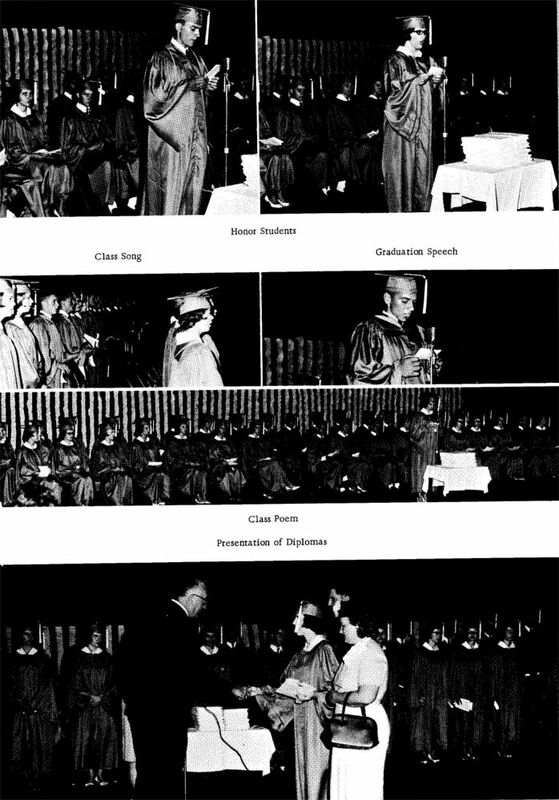 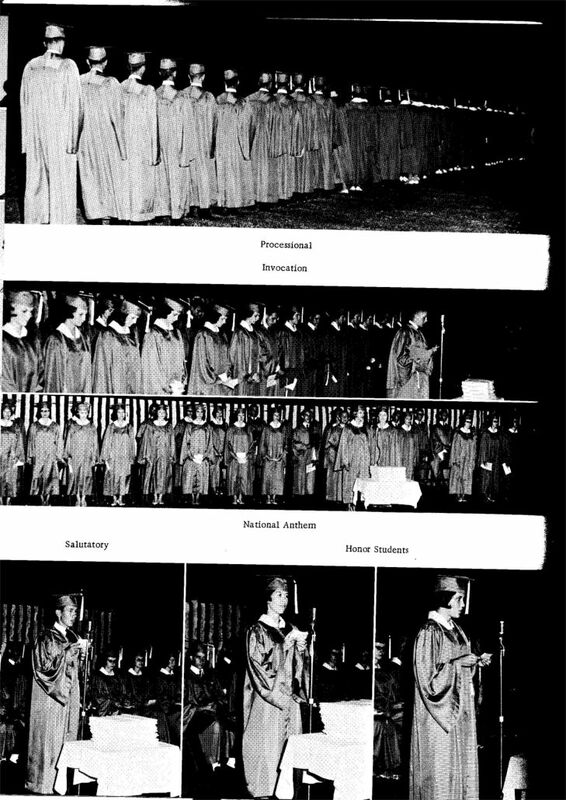 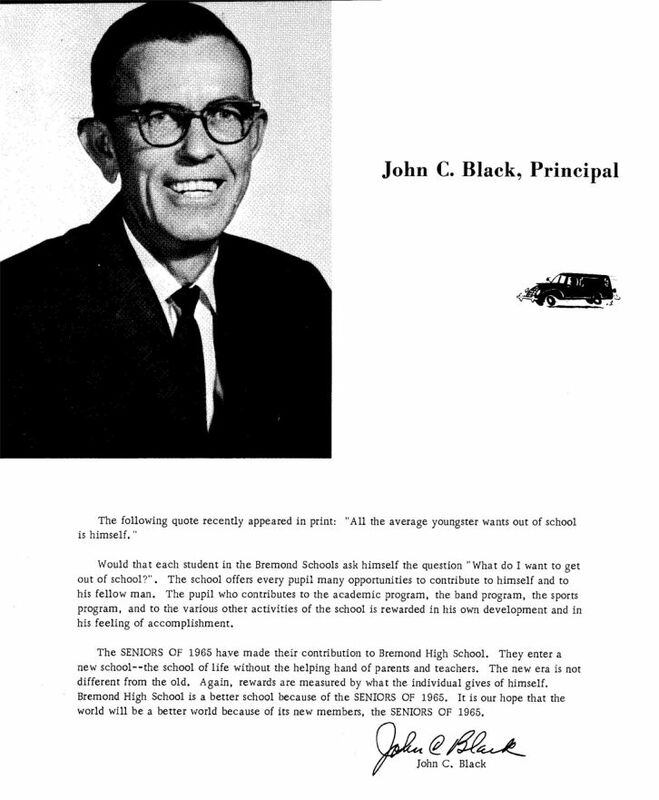 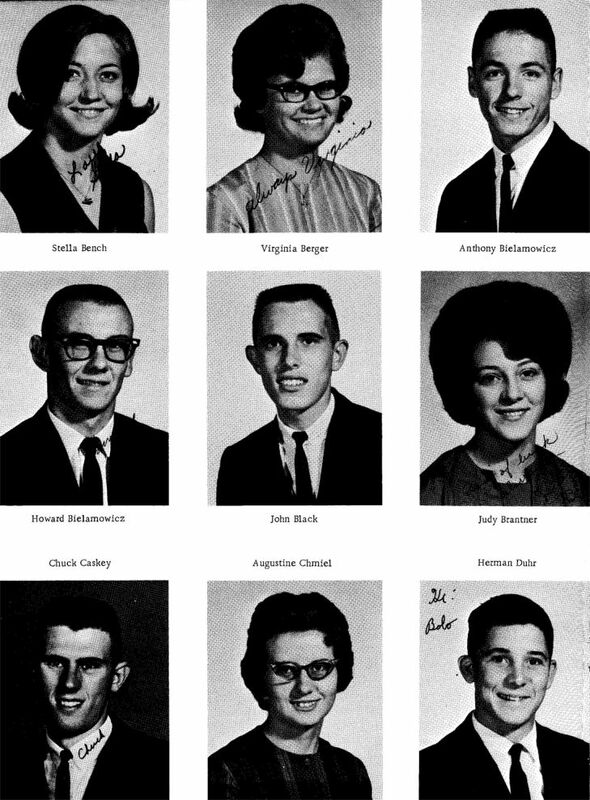 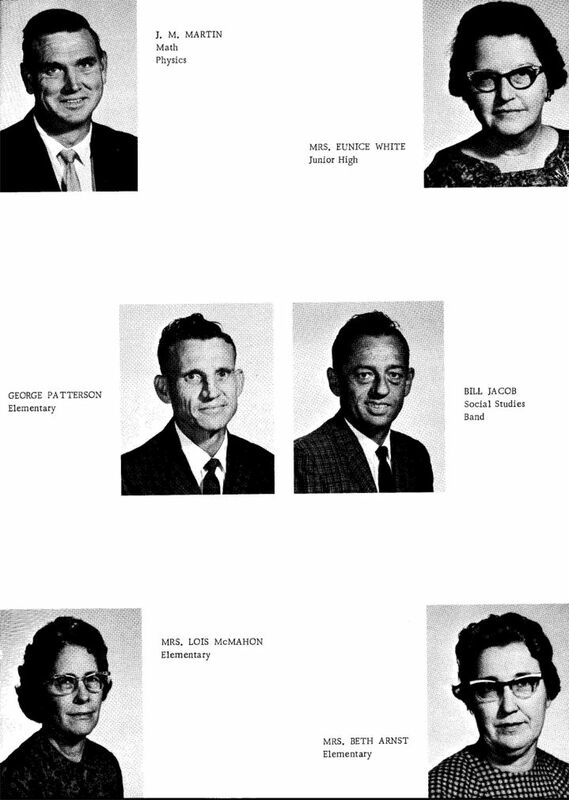 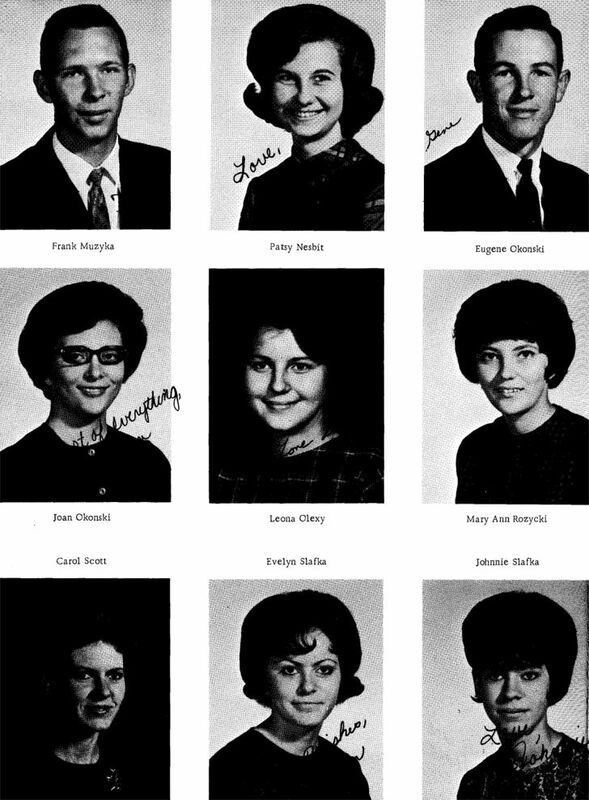 The BHS 1965 graduates were: Gene Okonski, Tony Bielamowicz, James Hailey, Chuck Caskey, Dr Fred Kuzniarek, Antone Wierzbicki Jr., Virginia Bane (Berger), Bernadine Hopcus(Wachel), Patsy Kasprowicz (Nesbit), Stella Pruitt (Bench), John Black, Howard Biel, John Turlak, Theresa McGilvray (Mikolajewski), Clara Keel (Swick), Agustine Bielamowicz (Chmiel), Bernadine Zan (Yezak), DaNette Andreski (Harris), Herman Duhr Jr., Evelyn Rosas (Slafka), Mary Ann Champion (Rozycki), Leona Lozano (O'lexy), Joan Okonski, Edmund Syzdek, Julian Jadlowski, Dorothy Lindberk (Kozak), Barbara Jean Luna (McMahon), Floyd Lott, Johnnie Gouge (Slafka), Carol Kasowski (Scott), Bernadine Kitchen (Wilganowski), Janice Dailey (Melcer), Mike Swick-deceased, Frank Muzyka- deceased, Ronnie Wynn - deceased.